This colorful friend wants to share his favorite stories with you! 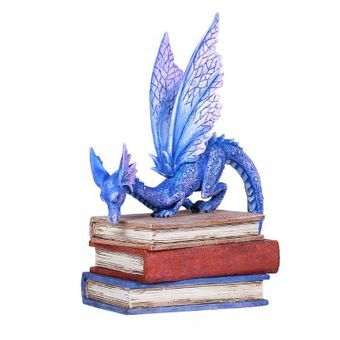 The figurine is based upon the artwork of Amy Brown, and features a dragon standing atop a stack of books. 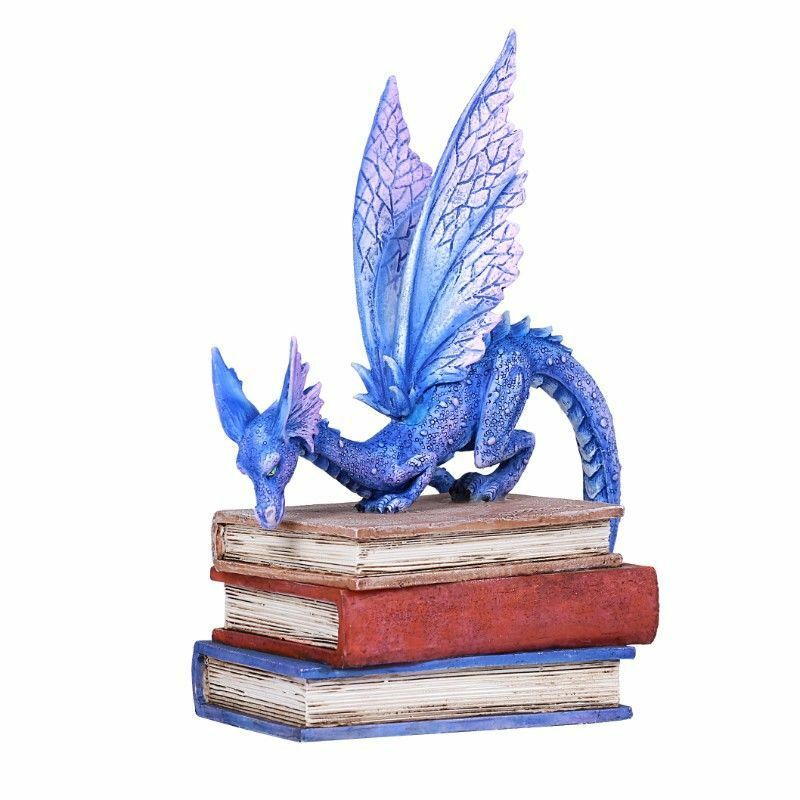 The mythical beasty is done in bright shades of indigo, and there's a matching blue tome at the bottom of the stack. Two more novels, one brown and one with a rich red cover, form the rest of the pile. 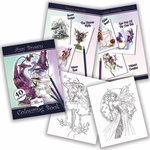 A unique collectible, and great gift idea for anyone who loves to read fantasy books! Size: 5 1/8" x 3 1/4" x 6 7/8"